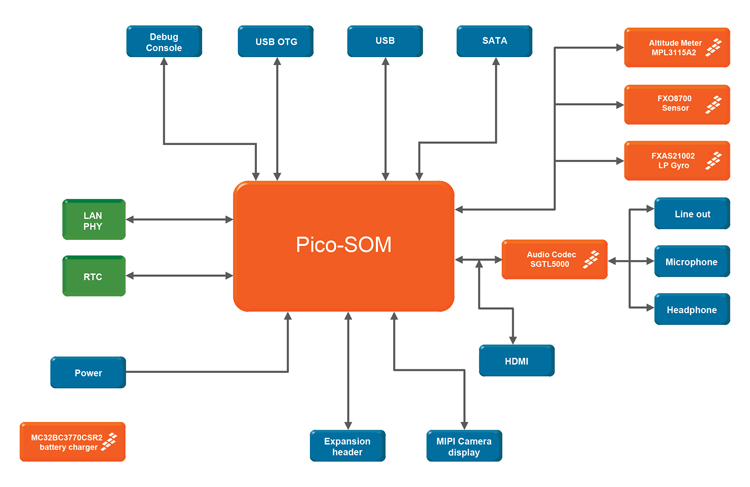 The PICO-DWARF reference design is compatible with Edison and TechNexion Pico SoM modules and add a variety of sensors and connectivity to the Pico SoM making it the ideal candidate for IoT (Internet of Things) applications such as drones, wearables, appliances and robotics. The complete schematics, design files, board files and BOM lists of PICO-DWARF are available for use in customer projects. Different configurations of PICO DWARF baseboards are available upon request. The complete schematics, design files, board files and BOM lists of PICO-DWARF are available and can be downloaded from the TechNexion homepage.